The Twin Cities witnessed a recent explosion of craft beer breweries and brewpubs, but the region’s beer history reaches back generations. The Minneapolis Brewing Company introduced the iconic Grain Belt beer in 1893, and it remains a local favorite. Fur trapper and bootlegger Pierre “Pig’s Eye” Parrant established a St. Paul tavern along the banks of the Mississippi River in the early 1800s. The area has been home to some of the best-known beer brands in America, from Hamm’s and Schmidt’s to Yoerg’s and Olympia. Today, microbreweries such as Bad Weather Brewing, Summit Brewing and more than fifty others are forging new avenues. 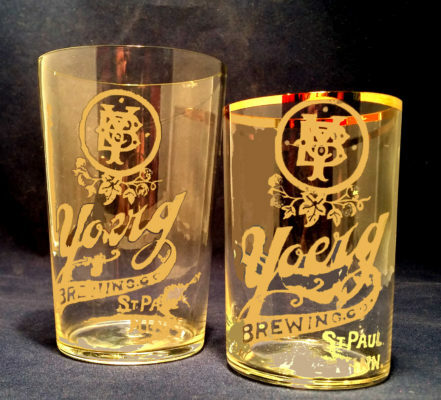 Join author Scott Carlson as he offers an intriguing history and guide to Twin Cities beer. Scott Carlson is a Twin Cities journalist and writer. He spent nearly thirty years at the St. Paul Pioneer Press, where he won numerous awards for his work. Most recently, Scott served as a research associate in the Community Broadband Networks initiative at the Institute for Local Self-Reliance and as a media relations and communications consultant. Scott has a Bachelor of Arts degree from the University of Minnesota and a juris doctorate from the William Mitchell College of Law (now known as the Hamline Mitchell School of Law). He lives with his wife, Betsy, in the Twin Cities.